Die Arevipharma GmbH ist ein moderner Hersteller pharmazeutischer Wirkstoffe und Zwischenprodukte mit einer nahezu 140-jährigen Tradition. Zu unseren Kunden zählen generische und forschende Pharmaunternehmen auf fünf Kontinenten. Founded in 2000 ASCA GmbH is an independent and privately owned laboratory for chemical synthesis. The company is based in Berlin-Adlershof, Germany. A well experienced team of PhD chemists and technicians, ´state-of-the-art´ laboratory facilities, the required analytical methods and literature data bases are available. Our clients include research-based pharmaceutical companies, suppliers of fine chemicals and analytical standards, contract research organizations, governmental and private testing laboratories, universities and research institutions. ASCA provides its clients with expertise in advanced organic synthesis. We offer both API- related compounds and labelled and unlabelled reference materials and metabolites. 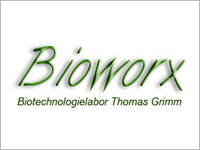 BIOWORX stellt auf Basis von biokatalytischen Entwicklungen für Kunden Musterchargen und Kleinproduktionen von Feinchemikalien bis in den kg-Maßstab her. Ebenso werden Prozesse für die Produktion von Ausgangstoffen und Vorstufen für die Herstellung von Pharmaprodukten entwickelt und im Kundenauftrag Substanzen im gewünschten Maßstab produziert. Für diese Produktionen werden Biomassen, Enzyme und Rohextrakte aus mikrobiellen und pflanzlichen Quellen zur Verwendung in Biotransformationen gescreent, isoliert und hergestellt. Die chiracon bietet der pharmazeutischen Industrie langjähriges Know-how im Bereich der Wirkstoffsynthese an. Zusammen mit einem Managementsystem das in einem ISO 9001-System integrierte GMP Umgebung bietet, kann die chiracon der Partner werden, mit dem Projekte im Bereich der Wirkstoffentwicklung und für neue oder generische Produkte möglich werden. chiracon bietet außerdem die Erstellung von ASMF/DMF und CMC/IMPD Dokumentationen an. Gerne übernehmen wir auch Auftragssynthesen. 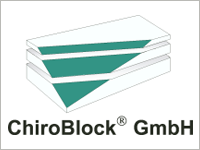 ChiroBlock regards itself as dedicated chemical "open innovation" partner. Since its foundation in 1999, the company has been bridging the gap between chemistry related basic research at public institutes and the very chemical production at manufacturers. Within the "MoleculeFactory" we exclusively provide compound samples of entirely new, otherwise not commercially available substances covering all risks of the chemical development. The "ReDesignFactory", in contrast, deals with the development and optimisation of synthetic routes according to clearly defined target figures such as overall yields / costs, environmental impact or special IP-issues. The business field "SupplyChainFactory" comprises the customer exclusive synthesis of high-value chemicals in scales between some mgs to a few kgs under strict regulatory conditions. 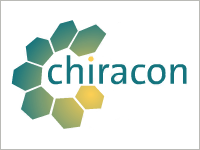 Finally, the "IP-Factory" completes ChiroBlock's profile. Here, both new molecules and synthetic routes are developed as results of own in-house projects. The marketing of the generated IP complements our business activities. c-LEcta is a fully-integrated leading industrial biotechnology company located in Leipzig. Its technology platform covers the whole value chain ranging from enzyme discovery, enzyme engineering and enzyme production. Furthermore, c-LEcta is dedicated to the development of innovative production process technologies for valuable biotech products with special focus on regulated markets. 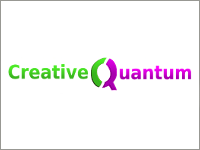 CreativeQuantum specializes in the realization of quantum chemistry-based research and development for the chemical and pharmaceutical industries. We are able to identify any chemical and physical properties on molecular level of systems or processes. Using unique creative methods, we offer our customers the development of resource and energy efficient production processes. To accomplish this, we apply the most recent and innovative optimization algorithms. 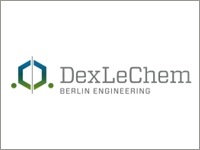 DexLeChem bietet erstmalig die Wiederverwendung (Re-using) komplexer & teurer chiraler Edelmetallkatalysatoren für die chemisch-pharmazeutische Industrie an. Die Innovation liegt in der Reaktionsführung in wässrigen Medien und dem dadurch möglichen Re-using der industriell implementierten Katalysatoren unter Erhalt der Aktivität. Basierend auf dieser Prozessinnovation ist es möglich APIs kostengünstiger und umweltschonender herzustellen. Enzymicals AG is specialized in providing integrated solutions for biocatalytic applications and offers recognized expertise in the use of enzymatic processes for complex chemical synthesis. The independent SME provides SOLUTIONS in developing, scale up and piloting robust chemo-biocatalytic processes and downstream procedures for the production of fine and specialty chemicals. The company manufactures selected CHEMICALS like chiral building blocks, intermediates and specialty chemicals from analytical to multi-kilogram scale and offers syntheses on customer requests. The product range includes e.g. chiral secondary and tertiary alcohols, carboxylic acids, lactones, esters, amines and amino-alcohols. Enzymicals offers a broad selection of recombinant ENZYMES suitable for research and development, production and diagnostics. The enzyme portfolio contains a continually expanding selection e.g. of hydrolases, Baeyer-Villiger monooxygenases, halohydrin dehalogenases, imine reductases and phosphotransferases at desired quality grades and formulations to solve customer specific problems at best performance. The services are completed by enzyme screenings, assay developments and a tailor-made protein expression and optimization. Die heutige Firma Ferak Berlin produziert unter der Leitung von Geschäftsführer Thomas Gründemann Feinchemikalien für die Chemie-, die Pharma- und die Elektronikindustrie. FEW Chemicals GmbH was formed in 1997 to engage in development and manufacturing of Functional Dyes, Near-Infrared Absorbers, Fluorescent Dyes as well as Nano-Varnishes, Nano-Additives and Organic Specialty Polymers. The Fraunhofer Center for Chemical-Biotechnological Processes CBP in Leuna develops and scales up chemical and biotechnological processes for the utilization of renewable and petrochemical raw materials – from upstream processing of raw materials and several conversion processes to separation and downstream processing of transformation products. Thus, Fraunhofer CBP closes the gap between the lab and industrial implementation: By making infrastructure and plants (pilot scale and miniplants) available and by providing high-qualified personnel, the center makes it possible for cooperation partners from research and industry to scale up biotechnological and chemical processes for the utilization of renewable raw materials right up to production-relevant dimensions and to accelerate process developments. 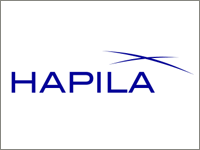 HAPILA GmbH is a specialist in demanding development services in the pharmaceutical/chemical sector. We offer the customers from the pharmaceutical and biotechnological industries complete solutions for chemical/ procedural problems concerning sophisticated API syntheses, purification processes of active pharmaceutical ingredients which are difficult to control and for the physical shape forming of high-purity crystals of these active substances. In addition to the development of multiphase syntheses during which the GMP formalities are taken account of as well as the development of analytic methods and the preparation of the documents relevant for approval (3.2 S - part) we also manufacture active substances of a scope of g- to kg according to GMP conditions. HAPILA holds several GMP certificates and a CEP, issued by EDQM. Upon request of the customer we manufacture reference standard substances (active substances and their impurities) and deliver them after extensive testing with the corresponding documentation. Our customers are provided with services being essential components of your drug development. A highly qualified, committed team as well as flat structures shape the basis for a fast and efficient development of active substance syntheses. Mr. 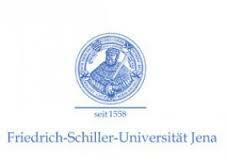 Professor Dr. Rödel is the head of the research group „Organic and Macromolecular Chemistry“. He and his staff specialize in the field of “Organic Chemistry” on the optimization of applied technical synthesis. Specifically, asymmetric hydrogenation up to 140 bar and 200 °C on the 1L scale are investigated. The longstanding expertise in the field of analytics guarantees the purity of the chiral compounds. Furthermore the instrumental-analytical equipment allows the monitoring of the reactions by GC/MS. Concerning to industrial practicability it is possible to investigate and to fit the process parameters in conditions close to industrial applications. For this the staff members could acquire extensive know-how during numerous cooperation with partners of the chemical industry. 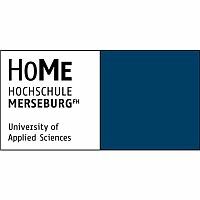 Thus, the Hochschule Merseburg interpret its role as a link between research and industry. IBZ-Salzchemie GmbH & Co. KG was founded in 2003 and offers research and development in mineral processing and technology development. Main working fields are leaching, flotation, liquid-liquid extraction as well as crystallization, precipitation and ion exchange. The development of technologies for production or processing of inorganic salts is a main point of our work. Additionally, we offer the development of water / waste water treatment processes and the development of special construction materials. All necessary equipment for realising comprehensive tests is available up to the pilot scale. This includes the required analytical methods and apparatuses. The production of various sols based on calcium hydroxide nano-particles completes the portfolio of IBZ-Salzchemie GmbH & Co. KG. 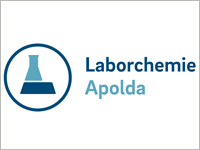 Die Laborchemie Apolda GmbH ist ein familiengeführtes, mittelständisches Unternehmen mit Sitz im thüringischen Apolda. Seit der Gründung im Jahre 1949 als VEB Laborchemie Apolda werden Spezialchemikalien und pharmazeutische Wirkstoffe gefertigt. Heute ist die Laborchemie Apolda GmbH eine 100%ige Tochterfirma der HEYL Chemisch-pharmazeutischen Fabrik. 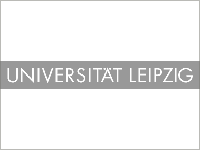 Leibniz Institut für Katalyse e.V. Over 60 years of know-how in catalysis serve as the foundation for the Leibniz Institute for Catalysis at the University of Rostock (LIKAT Rostock). Today the Leibniz Institute for Catalysis is one of the largest publicly-funded research institutes in Europe in the area of applied catalysis. The main objectives of LIKAT's scientific projects range from the acquisition of new knowledge in catalysis research (and its applications) to technical utilisation of such new knowledge. Catalysis is the science of the acceleration of chemical elementary processes. By using high-performance catalysts, chemical reactions take place in a way which spares resources, increasing the yield, avoiding by-products and reducing the specific energy requirement. It is only possible to meet the global demand for an efficient use of all resources by making use of efficient catalysis research. Geschäftsführender Direktor und Leiter der Forschungsgruppe Bioorganische und Organische Chemie am Institut für Chemie ist Herr Prof. Dr. Csuk. Die Kompetenzen seiner Forschungsgruppe liegen in der Synthese und Analytik enantiomeren- und diastereomerenreiner Strukturen. Miltitz Aromatics is a medium-sized, privately-owned company in the long Middle-German tradition of fragrance and flavor production. The main attraction is fine chemical production, which is supplied also to other industries such as agrochemicals. The company is specialized in distillation, isoprene chemistry, hydrogenation and hydroformylation. The production range is from 1 ton to a couple of hundreds tons. The company is based in Bitterfeld-Wolfen, Germany. 20% of the workforce is researching and improving products and processes. Die Minascent mit Ihrer Marketing&Sales-Gesellschaft Minascent Technologies GmbH und der Produktionsgesellschaft Minascent Leuna Production GmbH ist ein Hersteller von Feinchemikalien, pharmazeutischen Zwischenprodukten und Wirkstoffen ( APIs). In mehreren cGMP und non-GMP Anlagen mit unterschiedlichsten Reaktorgrößen (von 100 Liter bis über 10 m³) können flexibel und an die Bedürfnisse der Kunden angepasste Prozesse zur Herstellung von Pharmaprodukten aber auch Feinchemikalien mit ähnlichem Qualitätsansprüchen für andere Märkte, wie Kosmetik, Erdölverarbeitung, Tierfuttermittel, Automotive und viele weitere umgesetzt werden. Die Kunden können hierbei durchgängig von der Laborentwicklung, über die Pilotierung bis hin zur großtechnischen Umsetzung ihrer Prozesse unterstützt werden. Dies schließt auch die Entwicklung und Validierung analytischer Methoden sowie die Bearbeitung regulatorischer Fragestellungen mit ein. 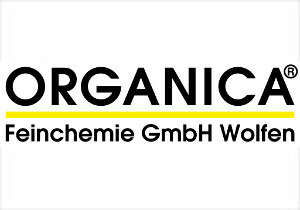 Die ORGANICA Feinchemie GmbH Wolfen ist ein Produzent organischer Feinchemikalien mit Spezialisierung in gefahrgeneigte Reaktionen auf exklusiver Basis. ORGANICA bietet Kundensynthesen von hochwertigen organischen Zwischenprodukten für die pharmazeutische, elektronische und feinchemische Industrie an. 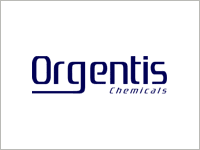 Since 1991, Orgentis Chemicals has been providing various services for our customers, such as the development of synthetic procedures and the synthesis, purification and separation of organic natural and synthetic compounds. Orgentis Chemicals produces and delivers chemicals for special applications in semi-bulk quantities. From the laboratory scale to semi-bulk quantities – we offer a complete range of methods for the chemical synthesis including pure enantiomers of chiral compounds, derivatives of amino acids and carbohydrates. With 2000 square meters of laboratories, warehouses and offices at two locations SYNTHON Chemicals supplies the industry with organic intermediates and final products in quantities from a few grams up to several hundred kilograms. A highly skilled team of 35 chemists and technicians is able to develop multi-step procedures from laboratory to pilot plant scale. SYNTHON Chemicals attach a special value to the synthesis of materials with high purity. The state-of-the-art Analytical Department guaranteed the compliance of sophisticated analytically parameter. 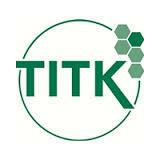 Thüringisches Institut für Textil- und Kunststoff-Forschung (TITK) e.V. The Bitterfeld-Wolfen Centre for Technology and Start-ups (Technologie- und Gründerzentrum Bitterfeld-Wolfen; TGZ) is based in one of Europe’s largest chemical parks and offers ideal conditions for chemical scale-ups on their paths from company establishment to industrial production. The TGZ provides state-of-the-art infrastructures from chemical laboratories and technical centres down to production facilities that comply with the German Federal Emission Control Law (Bundes-Immissionsschutzgesetz; BImschG). Covering 1.200 hectares, the Bitterfeld-Wolfen Chemical Park boasts about 350 established medium-sized and large-scale businesses from the chemical and pharmaceutical industries plus related services. They all offer technology-oriented start-ups from the fields of fine and specialty chemistry as well as clean technology and bio technology an inspiring environment and ideal framework conditions for making their visions come to life. Prof. Dr. Schneider leitet am Institut für Organische Chemie die Forschungsgruppe Organische Synthesen und metallorganische Katalyse. At the Faculty of Natural and Environmental Sciences of the Zittau/Görlitz University of Applied Sciences the departments Biochemistry (Prof. Dr. Annett Fuchs), Microbiology (Prof. Dr. Thomas Wiegert) and Organic Chemistry (Prof. Dr. Dieter Greif) work together on the development of chemoenzymatic processes for the preparation of diastereomerically and enantiomerically pure compounds. 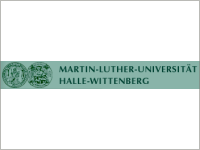 For your inquiries please contact Prof. Dr. Dieter Greif.